A car accident can happen to even the most experienced drivers. If you’re involved in a collision, it is extremely important for you and the other party involved that you take the necessary steps to ensure that everyone is okay, and that the proper steps are being taken after the collision. 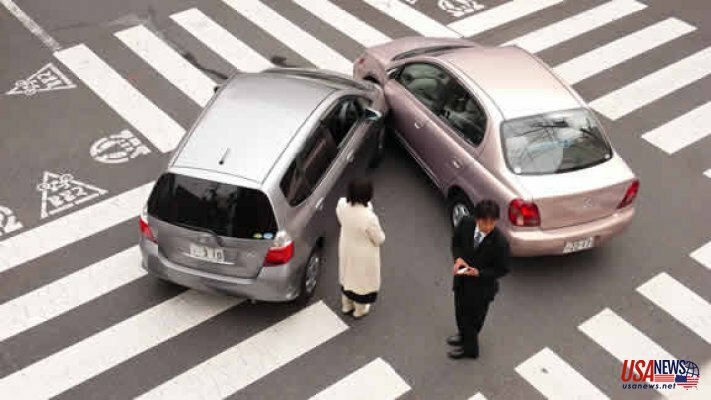 Remain calm, and make sure that you take these steps to protect yourself if you’re involved in an automobile accident. The most important thing you want to do is make sure everyone involved is okay. This includes any passengers in your vehicle and the driver and passengers in the other car that was involved in the collision. If any of the passengers hit their head, appear dizzy, or have any obvious injuries, call 911 immediately. In order to save yourself from paying for damage that wasn’t your fault, document the entire accident from every angle. This means taking photos of the damage done to your vehicle on all four sides, and taking photos of the other vehicle. This step is most crucial when it comes to minor accidents when cars are still drivable. If you don’t have proof of damage, the other party involved could claim that their vehicle sustained more damage than what actually occurred immediately after the collision. You should also get a few shots of the surrounding area, especially if the accident was caused by disobedience of traffic lights or stop signs. Ask the other driver for their license, registration, and proof of insurance. Take photos of all of these things with you cell phone to send to your insurance company when you file your claim. Take note of the car’s make and model and take photos of the license plate as well. If at all possible, you’ll want to call your insurance company at the scene of the accident. They’ll give you the most accurate steps to take following the accident, and can provide you with helpful advice when dealing with the other party involved in the accident. The other driver may try to get you to admit fault, so make sure not to sign anything before speaking to your representative. Keep a folder with any and all expenses that occurred as a result of your collision. This includes repairs, medical bills, and doctor’s reports. If the other claimant or their insurance company tries to contact you, make a note of it and politely refer them to your agent at your insurance company. Getting into an accident is an event every driver hopes to avoid. The good news is, if you’re insurance policy is up to snuff, you’ll be back on the road in no time. If you find that your policy is lacking, or if you’re not satisfied with how your insurance company handled an accident you recently had, consider comparing your current policy with others on the market, you may find the same policy at a cheaper rate.